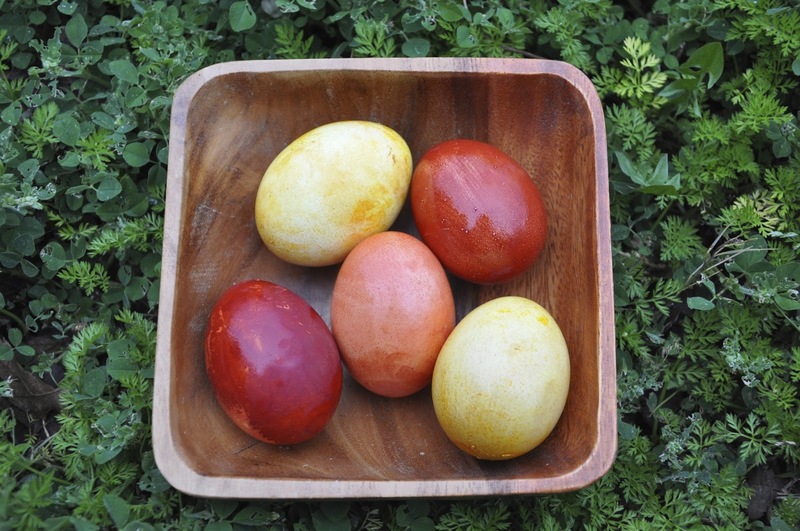 who then wakes up for Easter! After morning mass at the monastery! 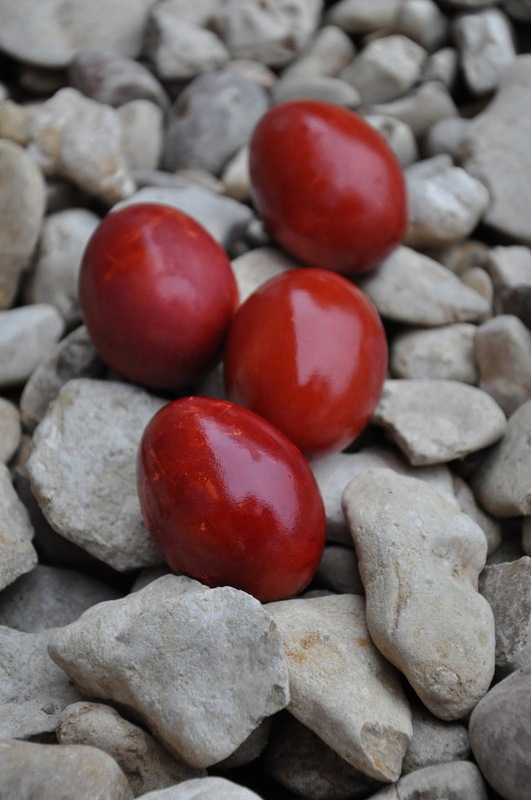 Our crimson red natural dyed eggs this year. I'm going to post more about them later.